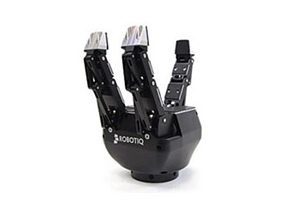 Robotiq frees human hands from repetitive tasks. They help manufacturers overcome their workforce challenges by enabling them to install robots on their own. They succeed with our robotic plug + play tools and the support of our automation experts community. Interested in a Robotiq product? The Adaptive Gripper is made for real manufacturing; use the same Gripper model for all automation cells in your factory. Eliminate custom-made end effectors and tools. 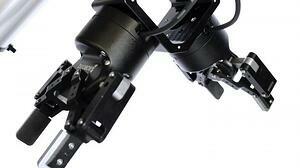 The 2-Finger Adaptive Gripper is compatible with all major industrial robots. We offer Plug + Play integration packages for Universal Robots. For maximum versatility and flexibility, the 3-Finger Gripper is the best option. Ideal for advanced manufacturing and advanced robotic research, the 3-Finger Gripper will pick up any object of any shape. The 3-Finger Gripper is compatible with all industrial robots. We provide convenient ready-made integration packages for Universal Robots. A ROS package is also available and supported. 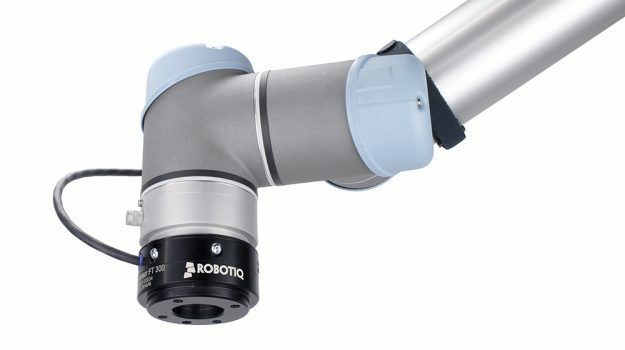 With Robotiq’s 3-Finger Gripper, you’ll focus on your research objective instead of struggling to integrate your end effector. These grippers are easy to program, are installed quickly with no training necessary. 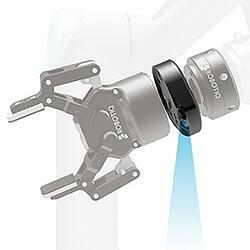 They also seamlessly integrate with the Robotiq Wrist Camera and FT300 Force Torque Sensor. They are the perfect collaborative robot solutions for applications such as packing and palletizing. Force Copilot is an intuitive software to operate Universal Robots e-Series’ embedded force torque sensor. Force Copilot accelerates the programming of a whole host of applications, including part insertion and surface finding, among many others. Its sensing functions increase flexibility and reliability in machine-tending, assembly, finishing, and pick-and-place applications. A suite of setup tools allows the user to hand-guide the robot on complex trajectories. The software makes it easy to place objects precisely in jigs, trays, and chucks, and it facilitates assembly applications through its alignment, indexing, and insertion functions. Finally, the intuitive interface unlocks finishing applications, with adjustable adaptive compliance and constant force for all robot axes. The Sanding Kit transforms a multi-hour, multi-day programming job into a 5-minute task. It is the only hardware and software sanding solution for Universal Robots and it can sand wood, plastic, metal, fiberglass, solid surface and carbon fiber. The kit includes: Orbital Tool, Bracket, Sanding Media, Finishing Copilot, Quick Start Guide and Air control Accessories. Compatible with Universal Robots as well as their new eSeries. Find all of Robotiq's videos on their YouTube Channel.